מה טרם אמרתי על ראש העיר של ירושלים? זכור לכם מתי העירייה חילקה חנוכיות לתושבי העיר היהודים? האם זכור לכם מתי העירייה חילקה את ארבעת המינים לתושבי העיר? לא ברור לי כיצד עמיתי למועצה מהסיעות החרדיות, נתנו יד לחלוקת העבודה זרה על ידי עובדי העירייה. זוכרים את כול הרבנים שתמכו בראש העיר ברקת בבחירות לראשות העיר? אני מאחל לרבנים שתמכו בברקת חג מולד שמח. What have I not already said to the mayor of Jerusalem? Do you remember when the municipality distributed Hanukkah menorahs to its Jewish residents? Do you remember when the municipality distributed a lulav and etrog to its Jewish residents? It is not clear to me how my fellow councilmembers from the Haredi factions, have condoned the distribution of avodah zarah (foreign/forbidden worship) by city employees. Remember that all rabbis who supported Barkat mayoral election? I would like to wish those rabbis who supported Barakat a Merry Christmas (sarc.). חלוקת עצי האשוח תתקיים ביום שני 22/12/2014- ברחבת שער יפו החל מהשעה 9.00 עד השעה 12:00 ומותנת בהצגת ת"ז עדכנית עם כתובת מגורים בעיר העתיקה. כבכל שנה יקיים ראש העיר ירושלים ניר ברקת טקס קבלת פנים לשנה החדשה לראשי העדות והדתות בירושלים. הטקס יתקיים ביום רביעי 28/01/15 באולם מועצת העיר ב-19:30. עיריית ירושלים מברכת את תושביה הנוצרים בברכת חג מולד שמח. Distribution of Christmas trees will be held on Monday December 22, 2014 at the Jaffa Gate, starting at 9:00 am until 12:00 noon, contingent upon presentation of a current identification card with an address in the Old City. As in every year Jerusalem Mayor Nir Barkat will hold a welcoming ceremony for the new year for the heads of religions in Jerusalem. The ceremony will take place on Wednesday January 28, 2015 in the City Council Chambers at 7:30 pm. The Municipality of Jerusalem would like to bless its Christian residents with Merry Christmas. I guess Mayor Barakat and the rest of the City Council couldn't take the hint from last year's damaged Christmas tree crop. Either that, or they simply weren't paying attention. I am not sure that we can blame Mayor Barakat too much. After all, he doesn't know any better. He believes in "democracy" and "pluralism," not in Torah. What are the Haredi factions' excuses? What are the excuses of other kippah-wearing, City Councilmembers? I cannot think of any, save for money, votes, or gross distortions and rationalize compromises of the Torah. Take your pick. They are all completely unacceptable. Why Does the Israeli Goverment Continue to Put our Children at Risk? By now, many you have already heard about last week's various attacks on Jews, using the particularly cruel weapon of Molotov Cocktails, or firebombs. An 11-year-old girl had most all of her body covered in third degree burns, while her father also remains in serious condition from the resulting burns of the attack. The attackers appear to have been caught out, and are from the Arab town of Azoun, one of many towns receiving large amounts of "aid" from the European Union [EU]. Meanwhile a street in the Jerusalem neighborhood of Armon HaNetziv has been pounded by attacks from the adjacent Arab neighborhoods of Jabel Mukabbir and Abu-Tor. Firebomb was thrown at private residence in Jerusalem neighborhood Armon HaNatziv Saturday night. No one injured, but balcony damaged. A firebomb was thrown Saturday night at an apartment balcony in southeast Jerusalem in what police are calling a terrorist attack. Fire broke out on the balcony at the building located on Meir Nakar Street in the Armon HaNatziv (East Talpiot) neighborhood. It was extinguished quickly. No injuries were reported but the balcony itself was damaged. Fire and Rescue Services arrived at the scene to limit the damage of the attack. Meanwhile police and Border Patrol officers began searching nearby in Jabel Mukaber, a predominantly Arab neighborhood, in an attempt to locate suspects. Marcel Kornicher, one of the building's tenants, said that he and his wife were sitting in their living room when the incident occurred. "My wife suddenly saw fire and we had no idea why," he told Ynet. "We heard a boom which was extremely frightening. We were in shock. The bomb did not penetrate the apartment, but if it had gotten into our house, it could have set the house on fire. We saw what kind of damage firebombs can do last week." Kornicher added that stones had been thrown at their building multiple times from Jabel Mukaber. Two months ago, a firework was also thrown at the house. Meir Nakar Street is directly adjacent to the Jabel Mukaber neighborhood, which has been the scene of numerous stone throwing incidents and firebomb attacks. 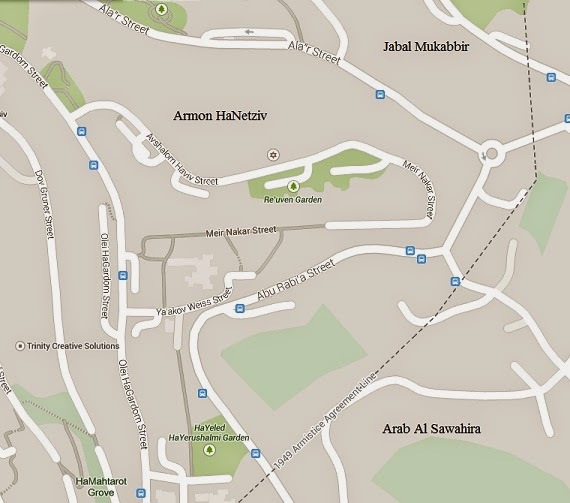 Interestingly enough, the neighborhood of Armon HaNetziv lies within the 1949 Armstice Line (as if Israel should care). No one, not even the EU can complain come to the defense of "freedom fighters," battling an oppressive occupation by a foreign power (eyes rolling). Residents of the Jabel Mukabbir neighborhood possess Israeli citizenship, and, unfortunately, have access to employment opportunities, equal to that of Jews. So these terrorists, like all such terrorists are not infiltrating the sections of Israel which are excepted by the entire "international community," save for the Arab nations. They do not have to infiltrate anything; they are already here! You may have already heard about the Arab terror mentioned above. But what you may have missed was a report from only a month and a half ago, also concerning the Arabs of the Jabel Mukabbir neighborhood. רוב נהגי ההסעות של ילדי החינוך המיוחד בבירה, מתגוררים במזרח העיר. ההורים מודאגים. עיריית ירושלים התקשרה בחוזה עם חברת הסעות לילדי החינוך המיוחד בעיר. הנהגים שיסיעו את הילדים מתגוררים בשכונת ג'בל מוכבר במזרח העיר, ממנה יצאו לאחרונה כמה מחבלים שביצעו אירועי טרור. סייעות ומלוות של ילדי החינוך המיוחד, שנוסעות עם הילדים מדי יום לגנים ובחזרה לבתיהם וכן הורים לילדים מיוחדים, פנו לחבר מועצת העיר אריה קינג והביעו חשש לחיי הילדים. קינג פנה לראש מינהל החינוך בירושלים ולראש העיר ברקת, בבקשה לוודא שהנהגים שמסיעים ילדים במסגרת חוזה התקשרות עם העירייה, יעברו בדיקה קפדנית על מנת לוודא שאין להם עבר פלילי ולאומני וכן שאין להם קרובי משפחה שקשורים בדרך מסוימת למעגל הטרור. קינג הזכיר כי ''המחבל שרצח את 8 התלמידים בישיבת מרכז הרב, הגיע לקרבת הישיבה ברכב ההסעות שלו, ואותו מחבל ימח שמו עבד בחברה שסיפקה שירותי הסעות למוסדות החינוך בעיר''. Most drivers transporting special education students in the capital live in East Jerusalem. Parents are concerned. Jerusalem Municipality entered into a contract with a transportation company for special education children in the city. Drivers who will transporting the children reside in the neighborhood of Jabal Mukkaber, in the eastern part of the city, from which a few terrorists have recently come who have carried out attacks. These assistants and escorts of special education children, travel with the kids every day to kindergartens and back to their homes, and so parents of these children turned to Citycouncilman Arieh King and expressed concern over their children's lives. King turned to the Jerusalem Education Authority and to Mayor Barkat, with a request to make sure that the drivers who transport children in the context of the agreement with the City, to come under scrutiny to ensure that they do not have a criminal record, are not [Arab] nationalists, nor who have any relatives involved in any way with terrorism. The Israeli Government appears to be more worried about the impressions it makes in the eyes of the EU (and others on the outside), being careful not to be see ethically profiling, prospective employees, the same EU which funds terror. Just like during last summer's conflict war with Hamas, Israel is expected to bend over backwards to please the Arabs, with or without Israeli identification cards, no matter the cost, even at the expense of our children's lives. And the Israeli Government seems to be going along with it. No matter how obvious is it that Esau (The West) despises us, we insist on repeating the same, insane, mistakes over again, expecting different results. And we just keep going to the polls, and electing these people, over and over again. 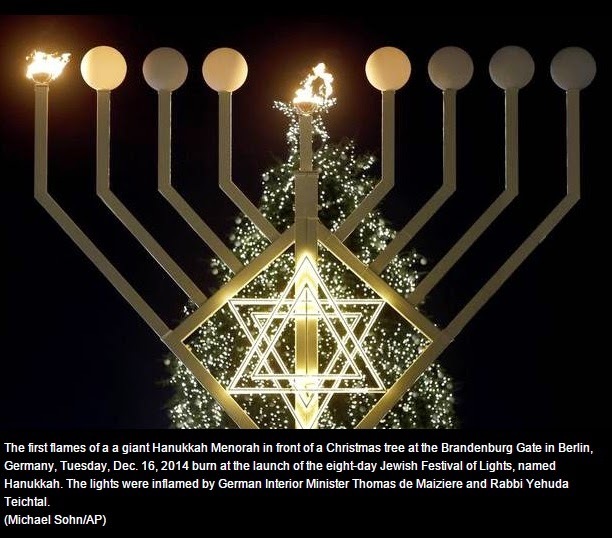 Germany's Giant Menorah: Something to be Proud of? Europe’s largest menorah is erected in front of Berlin’s Brandenburg Gate, a site once marked by hatred and racism where Nazi rallies took place. "...in those days, at this time"
Thousands of Berliners gathered outside on Dec. 16 to watch Teichtal and German Interior Minister Thomas de Maiziere light the first Hanukkah candle on the menorah. Other dignitaries present at the ceremony included Mayor Michael Müller, Israeli Ambassador Yakov Hadas-Handelsman, and German parliament members Maria Böhmer and Petra Pau. Chabad has lit a menorah on same site for over a decade, Chabad.org reported. Teichtal moved to Germany from the U.S. 18 years ago because the country needed new rabbis, according to NPR Berlin. He set up Germany’s first yeshiva, or Jewish school, since the Nazis shut them down in the 1940s. New rabbis are now graduating in Germany at a new rabbinical college in Potsdam. Germany’s Jewish community is widely considered to be the fastest growing Jewish community in the world, NPR Berlin reported. A few thousand Jews survived in Germany after World War II but now more than 200,000 live in the country. The biggest local community is in Berlin and includes many Israelis who moved to Germany from Tel Aviv. Chabbad Rabbi Teichtel says that "...light will always at the end prevail." Yet, the light includes that the homeland of the Jewish People is in Israel, and not in Europe. Ironically, it was another Rabbi Teichtel, Rabbi Yisachar Shlomo Teichtel hy"d, who over 70 years ago, saw the writing on the wall, warned Jews to get out of Europe and encouraged them to make their way to Israel, defying his own community's anti-Zionist sentiment. 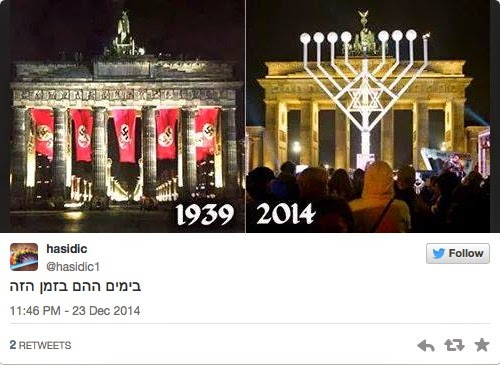 So, is having Europe's largest Hanukkiyah (Hanukkah menorah) publicly displayed in Germany something to be proud of? Perhaps Rabbi Teichtel will do some good by waking up these wandering Jews up to their heritage, which is Torah. Nevertheless, our Jewish hearts and minds should always be focused on the Land of Israel. The investment of our Jewish time, energy, and sentiment should not be on the lands of our exile. "Germany’s Jewish community is widely considered to be the fastest growing Jewish community in the world...The biggest local community is in Berlin and includes many Israelis who moved to Germany from Tel Aviv." Contrary to the galuth (exilic) mentality, these statistics are not anything to be proud of. Israelis leaving Israel and moving back into galuth is not something to be proud of. It does not matter whether the Germans are trying to kill us, or trying desperately to be our friends, Jews do not have any business being in Germany. Furthermore, how it seems that Chabbad neglected to mention the close proximity of the Hanukkiyah to an X-mas tree? The candles were lit in view of avodah zarah (foreign/forbidden worship). Saving for the neo-Nazis and Muslim immigrants, Germans currently may not want to slaughter us. But, hints of unification of religions are not any better for us either. England, France, and Sweden may be falling fast, while Germany stands strong as one of Israel's "friends." But, do not think that Jews residing in Germany are immune to the dangers of galuth, both physical and spiritual. Palestinian workers who use the crossing daily say construction to create pedestrian crossing is not progressing and making conditions worse. In a rare move, 6,000 Palestinian workers, who commute from the West Bank to Israel for work every day, decided to hold a strike on Sunday to protest the "daily humiliation" that they endure at the Ephraim Gate Crossing located west of the Palestinian city of Tulkarem in the West Bank. Construction of a new pedestrian terminal on the Palestinian side of the crossing has worsened the conditions for Palestinians, who must use temporarily use a narrow passage in which thousands push and shove each other. The construction of the new pedestrian passage which has harmed the flow of traffic at the crossing was initiated by the Palestinian Civil Administration. The Palestinians who were behind the strike said that the construction was progressing too slowly and that their patience had run out. "When I arrive at the crossing – as far as I'm concerned, I'm entering hell itself," said Sabri, a Palestinian worker from Tulkarem who has worked in Israel for several years. "People cram into the narrow crossing like animals, they begin to push and pressure builds up and in many cases people get injured and end up being taken away to the hospital in Tulkarem by ambulance," Sabi continued. According to Sabi, the lack of manpower often slows down the process and creates congestion even after the Palestinian workers finish crossing the narrow pedestrian crossing. "There are 16 stands for biometric testing. In many cases, there are only four or five stands in operation and all the rest are closed," said Sabi, who admitted that inefficiency at the crossing can also be attested to the Palestinian side of the crossing not being well-organized. Sabi said that the Palestinian Authority does not send in individuals to monitor the entry to the crossing in order to prevent congestion and disorganization. However, the Palestinian workers also said that some days they experience unreceptive and degrading treatment by the workers at the crossing. "There are times when they treat us without a drop of respect," said Azam, one of the Palestinian workers who uses the crossing. "Sometimes there are female workers at the biometric stand who stand and talk to each other, laugh and ignore us completely – and we have to wait for them to finish talking. If someone says they are late or asks for them to check him they say, 'Shut your mouth.' I know that whenever I am at the crossing – we have no self-respect." The worsening conditions at the checkpoint during the ongoing construction led a group of Palestinian workers to conduct a spontaneous strike on Sunday. "The news traveled by word of mouth and reached everyone. I did not see one person oppose it. We turned around and went home," said one Palestinian individual who joined the strike. "Everyone said that although the strike was unplanned, many had discussed such a move for a while," said the Palestinian worker. Right after the decision was made, the workers representatives met with officials of the Palestinian Civilian Administration in Tulkarem in order to lay out their case. During the meeting, the officials convinced the workers to end the strike and promised to work wither their counterparts to improve the conditions. "We'll return to work," said the workers, "but if we see that the pace of the construction is not accelerated – we will strike once a week and will not arrive to work in Israel." The manager of the civil administration within the Israeli Defense Ministry said in a response to the matter: "The establishment of the terminal was designed to improve the service given to Palestinian workers who pass through it daily to work in Israel. We are aware of the temporary discomfort caused by the construction underway and are scheduled to end in the next two months." As for the complaints about the dismissive attitude of the workers at the crossing the authority said it has invested time and resources in manpower and technology that ensure a high level of security as well as a high level of service. 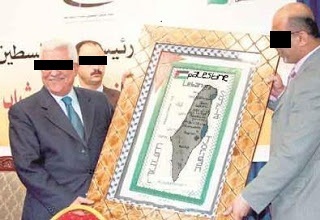 They also said that the claims made by the Palestinian workers will be examined in depth and treated accordingly. The "Pseudostinian" Arabs should be grateful that the Israeli Government is full of suckers, allowing those whose government is intent on annihilating us to continue to cross through a check point to work for Israeli employers. I reported on the defacto border crossings almost eight years ago. Yet, for the most part, we Israelis have really been that naive to believe our politicians, when they claim that they are not really border crossings, being set up for any final status agreement with the "Pseudostinians." Yeah, right! Ask the expelled residents of Azza (Gaza/Gush Qatif) about that! The Israeli Government is not only full of suckers, but also horribly co-dependent on how the rest of the world sees us. It doesn't matter. No matter what we do, even fall over and die, they will still hate us anyway. During last summer's conflict war with Hamas in Azza, the "international community" expected us to sacrifice the safety of our own children, in order to avoid killing the women, children, and disabled Arabs being used by Hamas as human shields. So, it is no surprise that the Arabs currently residing in Yehudah, the Shomron, and Azza should expect to have the same "international community" on their side now. After all, they are not even shooting rockets at us (for now). They just want us to employ,and thus feed, house, and otherwise maintain, potential infiltrators. No big deal, right? Where's Israel on the map? The Arabs do not just want another independent, terrorist state. They want us to continue allowing them to cross imaginary border crossings, and without even being searched for bombs and other weapons, in the process! The Arabs want all of Israel, and are willing to try any strategy, in order to get it. Time for us to stop helping them to help us commit suicide, don't you think? I don't quite understand how this works, but News1 is reporting that the Ministry of Transportation has approved Superbus to operate some bus lines on Shabbos. This Shabbos will be the first time since Superbus began operating bus lines in 2002 that it will be operating lines on Shabbos. Especially unusual about this is that much of Superbus's existing operations are in areas with Haredi populations. This is unusual because we all know how the Haredi community takes to chilul shabbos, and breaking of the status quo, and reacts by boycotting even the non-chillul shabbos parts of such companies (like AM:PM and Shefa Shuk). The affected lines are in the cities of Afula, Kiryat Tivon, Yokneam and Haifa. The lines operating on Shabbos will be in areas that did not previously have public transportation on Shabbos, and even going into areas with religious populations, so this is a big change in policy. Personally it makes me wonder why they approve these new lines but have refused to approve such lines on Shabbos in very secular areas like parts of Tel Aviv that have been working for years to get public transportation on Shabbos. I wait to see how the Haredi community will react, and if they will boycott Superbus in other areas, such as Bet Shemesh, as a result. It is a tough boycott to create, considering how reliant the community is on public transportation, but I cannot see this passing quietly. Could it be that elements of MK Elazar Stern's proposed "Shabbos Law" is being implemented anyway, through the back door? It would not surprise me. Either the Erev Rav, anti-Torah government is sneaking something through which it wants to happen anyway. Or, this is simply an experiment to see to what happens when they implement its sneakiness. That way, if there is any protest or other resistance, it can study how to improve its sneakiness. Like Life In Israel, I too, look forward to seeing the Haredi community's reaction, not to mention the reaction of those residents of Beth Shemesh, dependent on Superbus for transportation. Will there be protests? Will the protests accomplish anything? Or will some justification be produced for the continued patronage of Superbus? Meanwhile, do not expect too much, if any, protest from the Mamlakhti (diehard State loyalist) religious community. Hillul Shabbath seems to be OK for this brain dead segment of society, as long as the State puts its stamp of approval on it. Over 2,100 years after the events, leading to the first celebration of Hanukkah, we are still up against a strong Hellenist presence. Har Nof Jerusalem Beheadings, an Attempted Cover-Up? RABBI DAVID BAR-HAYIM CONDEMNS "HAR NOF GATE"
Machon Shilo's Rabbi David Bar-Hayim has requested to publicize his condemnation of the government's deliberately covering up the fact that the Arab terrorists who perpetrated the Har Nof massacre decapitated two of the victims, HASHEM yikom damam. Rabbi Bar-Hayim has expressed outrage that the government and media have joined forces in preventing Jews from knowing the grisly nature of these barbaric murders in order to preserve "industrial quiet." Moving meeting at synagogue where Zidan Seif was murdered by Arab terrorists as he tried to stop attack, details of massacre given. "They heard the shots from outside and they stopped here. Zidan's shots confused them and they stopped here, they could have continued. ...They (the victims - ed.) were praying, no one had a weapon. At a certain point they realized they couldn't continue, the two of them went out of the door quickly towards the stairs," continued the witness. Relating the moment when Seif was murdered, the witness added "Zidan was behind the wall there, Zidan hit him, but he (the terrorist) while continuing coming down the stairs managed to shoot another bullet." Seif's father responded "it's hard, we can't do anything that's our fate. We can just hope that Israel will only have happy occasions and not sorrow." The following video is of Machon Shilo Head, Rabbi David Bar-Hayim, elaborating on the issue. Was there an attempted cover up? If so, why? To keep us numbed out, in denial, and under control? If Ethiopians can do it, Then why can't Americans? If these Jews with nothing can make alyiah with out nothing, why can't Jews in western countries make alyiah with all their posessions? It will get to the point when Jews in western countries lose all their posessions for them to decide when to come. By then it may be to late. I could not have said it any better than Chaim. However, I would like to elaborate on this a little. We should not forget the treatment the Ethiopians received upon arriving, in contrast to those immigrating from the former Soviet Union, now estimated to be anywhere from 60 to 70 percent goyim gamurim (non-Jews). The Ethiopians have also had to struggle to differentiate themselves from those Ethiopians who have no connection to being Jewish whatsoever, and in many cases are believing Christians, who have been allowed to immigrate to Israel anyway. In addition, this community was hurt greatly by the mixing in from one of the so-called liberal "Jewish Movements. At the tail end of Operation Moses, "volunteers" from North America were instrumental in convincing some of the Ethiopians, that they did not need to undergo conversion. Operation Moses took place in 1984, seven years before Operation Solomon, recounted in the video. This is just one piece of more evidence at how spiritually challenging it must be for Westerners, particularly North Americans to pick up and leave the exile. If they wait too long, they risk getting the proverbial kick in the pants like their European brothers and sisters, and those who came from from Arab countries, before them. Proposed Pro-Marxist Legislation in Israel: Surprised? A new bill indicates justice ministry is adopting a neo-Marxist approach to parenting, seeking to annul parental custodianship. A bill recently proposed by the justice ministry indicates that it is seeking to take away parents' custodianship of children in Israel. Tzipi Livni's removal from office and the dissolution of the Knesset have temporarily halted the move, which reflects a neo-Marxist approach to the family, in which the state takes over from parents as the ultimate guardian and custodian of children. Is anyone surprised by this? I mean, seriously? The only thing which surprises me, is how impatient the Erev Rav appears to be in its battle against the Torah. Only recently, it proposed a "Shabbos Law," which only serves to chip away at Shabbath obervance. And now this. If you can't beat 'em, join 'em. Then, beat 'em, by destroying them from within. Usually, when parents do not cooperate with the Israeli Government in its indoctrination of our children, they are threatened with taking them away, using the State's social workers as its front line soldiers in this particular battle. If this law passes, they will not have to threaten to take our children away, because they will have already done so! Not only that, but I anticipate that this proposal will even be sold to the Israeli public as "Israeli," as it has similarities to how parenting in Kibbutzim (Israeli communal farms) was once manifested. I have not red the legislation myself. However, I believe that the following case scenario is a possible eventual goal of certain elements in the government, albeit most of you will either believe this to be farfetched, if not insane. No visits from social workers or police. No phone calls. No warnings whatsoever. No Just come in the middle of the night, and take them away, without any obligation to inform you of their whereabouts or condition. The only difference between previous "disappearances" of our children, like the Yemenite babies of the 1950's, is that now such "disappearances" would be legal. Apparently, the previous strategy of threats was not working well enough, nor quickly enough, for them. In a sense, this is good news. They are running scared. Too many Jews have been waking up to the setiroth (conflicts) between the State of Israel and the Torah, for their taste. Too many Jews have been recognizing that the Torah is the higher authority. Too many Jews have decided that they are mad as hell, and not going to take it anymore. Unfortunately, there are not a whole of things more dangerous than a wounded animals, so we need to keep on guard. Translation? To assimilate our children into the well-behaved, numbed-out, non-independent thinking collective of Western, anti-Torah culture,...period. A New Shabbos Law? Don't Be Fooled! Despite the imminent dissolution of the Knesset, for now work goes on as normal, at least sort of, for the Members of the Knesset. MKs Ruth Calderon (Yesh Atid) and Elazar Stern (Hatnua) have proposed a new law that would qualify the character of Shabbos in the public sphere. The proposal attempts to define Shabbos as a special and unique day as the official national day of rest, as a day to be dedicated to culture, entertainment and leisure, with minimal commerce. According to the proposal, while official State institutions would be closed, public facilities would be able to open, such as museums, zoos, cultural centers, national parks, etc. on Shabbos. The law would even allow for payment to enter any of these locations prior to Shabbos, so one would not have to pay on Shabbos itself. According to the proposal, some limited public transportation would operate, upon approval from each local municipal authority, based on need of local residents. Makolets and pharmacies would require special permits to open, using some sort of rotational system. This would require approval from the local authority and from the Minister of Interior. In addition, the law would stipulate government funding for cultural activities. Good ol' MK's Ruth Calderon and Elazar Stern! No surprises here! Do not be fooled by this apparently Shabbath-supportive proposal. There is nothing in this proposal, in the least bit supportive of proper Shabbath observance. In fact, this is merely a strategic ploy to chip away at the already decaying Shabbath laws, enforced by the Israeli Government. Let's take a careful look at this proposal which will be eaten up by the so-called "movements," and will be supported, if not advocated, by the naive, liberal, Modern Orthodox, and so-called "pluralists." The law would even allow for payment to enter any of these locations prior to Shabbos, so one would not have to pay on Shabbos itself. The Israel Government will not only condone anti-Torah activities, but will now be providing their funding. If passed, this prosposed law will simply make it even easier to violate Shabbath, than it already is. The attack on Torah is nothing new. The attackers are just getting sneakier and sneakier. Swiss Jews, Will You Heed the Latest Warning? There had been a lot of buzz, leading up to yesterday's referendum in Switzerland, including from The Jewish Libertarian. The referendum failed, which definitely has implications for Swiss Jews. Zero Hedge: Swiss Gold Referendum Fails: 78% Vote Against "Protecting The Country's Wealth"
So, what does this have to do with the price of tea in China? Or, for that matter, the safety of Swiss Jews? It was a near thing. Well, not very near, actually. Zero Hedge reports that not a single Swiss canton voted in favour of Ecopop’s insane scheme. The Swiss central bank was to be forced to hold 20% of its reserves in gold and would be prevented from ever selling any. All Swiss gold held abroad was to be physically repatriated to Switzerland. Tax breaks for wealthy foreigners who live in Switzerland but do not work there would be ended. At first sight, these proposals don’t seem to be connected. But they are. They all add up to the same thing. Switzerland was to protect its wealth, land, environment, public services [tick all that apply] from foreigners. This is a Swiss nationalist agenda, similar to the nationalist agendas of other fringe parties in Europe such as the UK’s UKIP. We are seeing a significant rise in nationalism across the whole of Europe at the moment. ...(Forbes) So the overwhelming decision by the people of Switzerland not to close their borders and hoard their wealth will come as a huge relief to several groups of people. Well, one group of people, in particular, comes to mind. Although, European Jews are threaten by nationalism, they are threatened by lenient immigration laws as well. After all, who is immigrating to Europe? Muslims. In 1683, Muslims were pushed back, preventing them from taking Vienna. However, now, the Muslims have long since taken another strategy. Playing on the European's political-correctness and naivete, Muslims have been pouring into Europe, without having to pass through the gates of Vienna. Getting beaten up from both sides will seem like children joking around on the playground, when the Jews truly get stuck between the Muslim sleepers and newcomers on one side, and the Nationalists on the other. Of course, in traditional Muslim and European fashion, it will the "Jews' fault." It reminds me of my grandmother's recounting of her pre-WWI childhood in Galecia (Southern Poland): The Kaiser's forces storming across her parents farm one day, and the Cossacks storming across it in the opposite direction the next day. Only this time, Europe will become even more of a nightmare. Here are just a few examples from Switzerland's recent past, of which Jews should expect a repeat performance. All I hear from Swiss Jews is how expensive it is to live there, not to mention the lousy job market. In addition, Shehitah (kosher slaughter) has been banned in Switzerland since 1893, forcing Jews to important kosher meat. I have absolutely no idea why they insist on remaining there. Let's hope that they heed the latest warning, and pick up and move to their true homeland. This week’s fires in a synagogue and a Jewish-owned clothing store here are being called rare acts of anti-Semitic violence in Switzerland. “This kind of violence against Jewish institutions in Switzerland is new. Nobody remembers a similar act,” said Thomas Lyssy, a spokesman for the Swiss Federation of Jewish Communities. Police are investigating both cases of suspected arson. Both fires were set on Sunday night and the leader of the local Jewish community said both were acts of anti-Semitism. The mayor of the city, Giorgio Giudici, condemned the attacks. The fire at the synagogue in the resort town near the Italian border caused considerable damage, destroying the library before firefighters put it out. The store was completely destroyed, Etti Stein told JTA from Los Angeles. Stein’s sister, Pagit Schreiber, lives in Lugano. Her in-laws own the store. “She’s very, very upset,” Stein said. Hans Stutz of the Foundation Against Racism and Anti-Semitism told the Swiss Telegraphic Agency that this was the first fire set in a Swiss synagogue in the last 25 years. But synagogues have been smeared with anti-Semitic slogans and swastikas: in Lausanne in April 2003, in Geneva in February 1998 and in Lugano in 1996. The worst anti-Semitic incident occurred in 2001 in Zurich, when a rabbi was stabbed by an unknown assailant. Eli Bollag, the chairman of the Jewish community in Lugano and a member of the City Council, said that he was sad and angry over the fires: sad about the stupidity that lies at the origins of the fires and angry at the cowardice of the perpetrators, who chose to attack such a small Jewish community. Orthodox Jews have lived in Lugano since World War I. At the end of World War II, the city was home to more than 1,000 refugees. There are now only about two dozen members of Lugano’s Jewish community, and about 500 Jews in the region. A Law to Deport Terrorists: Is it Really Good for Israel? Likud Knesset member Yariv Levin presented to Prime Minister Benjamin Netanyahu on Tuesday a draft of temporary legislation that would, among other provisions, allow the state to revoke the citizenship or residency of terrorists and their family members. The bill was drafted at Netanyahu’s request. I am telling you that if this legislation passes, it is only a matter of time, before Israel's Supreme Court strikes it down as "unconstitutional," even though Israel does not have a constitution. The high court will point out the lack of fairness, in singling out one ethic group. After all, Prime Minister Netanyahu himself had said Israel is the national home of the Jewish people where there are equal rights for every citizen. The Israeli government will either feign having "no choice" but to alter the language to include ALL citizens regardless of ethnicity or religion, or it will fight with the high court, and eventually lose. The government will then have the power, that perhaps some MK's have always wanted, to designate Jews as "terrorists," strip them of their citizenship, and expel them from the country. I do not doubt MK Yariv Levin's intentions. I just do not know how far he has thought this proposal through. Temporary: Temporarily temporary, as in until it is decided to be applied to Jews, at which time, it will be permanent, and as per usual, selectively applied. I predict that Jews who hold the Torah in higher authority than the Government of of the State of Israel, otherwise known as "extremists," will be be targeted. Already then can be thrown into "Administrative Detention," without trial, just like the Arabs. See how deMOCKratic Israel is? Temporary: Ending when it no longer serves the objectives of the powers that be. Like a friend of mine just reminded me, Netanyahu always likes to appear super-duper, extra industrial strength, "right-wing" before the Likud Party goes to its primaries. So, even more so, this legislation will not be anything like you might think. Likud Party Primaries will take place early this January. So, stay tuned! Why was Shimon Peres Welcomed into Jerusalem's Har Nof Neighborhood? Shimon Peres, Labor Zionist extraordinaire and one of the major forces behind the Oslo "Death" Accords. Shimon Peres, the one who claimed that the Jews killed and wounded by Arab snipers in Yehudah and Shomron (Judea and Samaria), were not killed and wounded by the weapons the Prime Minister Yitzchak Rabin's government gave to the "Palestinian Authority." Rather, he claimed that they were killed or wounded by "other guns." Shimon Peres, who would like to see [the made up nation of] Jordan invest in his Valley Of Peace Initiative, which essentially blurs one of Israel's borders. Shimon Peres, who continues to advocate for dialogue with Arabs whose pattern is to kill Jews, with guns, bombs and rockets, and demand that the international community force Israeli into a cease fire agreement, in order build up their stocks of munitions for the next their next round of attacks. Shimon Peres, who continues to advocate for Arabs to have yet another independent state, Arabs who not only want to annihilate the Jewish People, but who have absolutely no claim to even one square inch of the Land of Israel. Why on earth was there not even a whimper of protest from the residents of Har Nof, regarding the former President's visit? In the meantime, please allow me to take the opportunity to bless Shimon Peres. May The Almighty grant Shimon Peres a retirement, free of any concerns or involvement whatsoever in Israel's afairs, political or otherwise, as well as free from any further interaction with the outside world, thus freeing him (and us) from any undue stress. Many of you have seen this video by Ami Horowitz going around the Internet. It is simple, straightforward, and to the point. What the heck are you still doing there?? Don't you get it? The sentiments which you revealed on the Cal. Berkeley (AKA: Berserk-eley) are spreading across the U. S., and they are spreading fast. Are you and your family in immediate, physical danger? Will the U. S. turn into a France or England (...or Sweden or Beligium) anytime soon? The answers to these questions, I cannot say. What I can do, however, is to ask you, "Haven't you ever thought that maybe, just maybe, at the very least, the expression of such sentiments were reminders that the U. S. is not your true homeland?" It seems that your mother is from Israel, and left. But, you, perhaps even with her encouragement, have also spent some time here. For all I know, you may have extensive family here, and may even be fluent in Hebrew. I do not know. I also cannot say that I know your views at all about immigrating to Israel. Perhaps that life plan is already in the works. Assuming the worst, I have to tell you that Israel is not just "that place to go to for study and connecting with ones heritage, perhaps serve in the IDF, and then just get up leave. I have no doubt that you have helped to wake people up to the reality that not everything, published in the mainstream media, can be taken at face value. I am not at all unappreciative of your work. But, now it's my turn to help Jews to wake up. The feelings of my fellow Jews' attachment and sentimentality toward the lands of our exile, I cannot, nor will I even begin to argue with. They are feelings. They are what they are. But, setting such feelings aside, the U. S. is only one of many, temporarily dwelling place for Jews, the key word being "temporary." Just like our exile in Egypt, and our subsequent exiles, our exile in Edom is temporary. You don't approach the Torah in the same way as I do? It doesn't matter. Whether Torah-observant, traditional, secular, I have yet to find any pattern among those who believe this message. There are those from each of these three, general groupings of Jews who believe very strongly in moving to Israel now, and staying, and there are those who do not. I pray that The Holy One Blessed Be He, continues to send the same message, but that it does not have to become too painful. And, I pray, that my fellow Jews will pay attention. PM says he "can't run the country with coalition's ultimatums" as cabinet vote descends into shouting match, Livni accuses him of wanting to fire her, Lapid. The cabinet voted in favor of the controversial "Jewish state bill," with the preceding discussion descended into a shouting match between ministers on Sunday. There are those who might say that Prime Minister Netanyahu is using the recent increase in acts of Arab terrorism to push through this legislation, taking advantage of a rising tide of nationalism. And, they might be right. However, just like his predecessors, he has taken this nationalism on detour away from the Jewish nationalist path, in favor of an Israeli nationalist path,... a secular, Israeli nationalist path. In other words, nothing much has changed. To sell his scam, Netanyahu keeps a few sprinkles of Jewish symbolism, as well as the ultimate cherry on top, a "Jewish" national flag. The Temple's Menorah remains on the seal of the same State which has absolutely no intention of rebuilding the Temple, let alone asserting full control over it. In reality, Netanyahu has not added anything new. Instead, he has taken steps to fortify the State's protection against anything which could risk its being further influenced by Judaism. The manifestation of the Prime Minister’s proposal will be something like that of assimilated, North American Jews proudly displaying their Hannukah Menorahs during the month of December, and perhaps even overemphasizing their eating of matzah during Passover, ie. around Easter time, yet do not necessarily have any deep understanding of the reasons behind what they are doing. The difference between the prime minister and those assimilated Jews in North America, is that the latter are trying their best to discover their identity. They simply have not yet found the guidance and direction to do so. On the other hand, Netanyahu appears to be continuing one of the objectives initiated by the Labor Zionists, the de-Judaising of Jewish Nationism. The Labor Zionists have attempted all along, to disconnect Zionism from its only true source, the Torah. Whether the democracy of the Hellenism we fought against, culminating in the first celebration of Hanukkah, or the current manifestation of democracy, neither is fully compatible with Torah, let alone being equal with it. Some like to bring up how the members of the Sanhedrin “voted,” failing to recognize the profound differences between how and why the Sanhedrin “voted,” and how citizens of [real] democratic countries vote today. The Sanhedrin attempted, and will again attempt in the future, to pin-point what The Almighty wants from us, based on the Tora, both Written and Oral, which has been handed down to us over the generations. Whereas, in the [real] democracies of today, people vote for what they want for themselves. Furthermore, not every citizen in today’s democracies would be permitted to serve on the Sanhedrin, or for that matter, on any Jewish courts. Does the Torah allow for the freedom of speech? Certainly not. Of course, the deMOCKratic, Israeli Government does not allow for it either. These are only two of the many examples as to how Torah and democracy are not compatible. The list goes on. Netanyahu appears to be trying to beat us to the punch, acknowledging that there are those who place the Torah on a higher authority than man-made laws, Israeli, international, or otherwise. There are those who dare to believe that the Torah touches every aspect of a Jew’s life, and not just what he can put into his mouth and what he can do on Shabbath, are known by the dirty word “extremist.” After all, this is technically an “extreme” position to take. Let us hope that Netanyahu’s new laws will not be used to hammer down on Jews. Now you know why I am against the death penalty. What?! Does Prime Minister Netanyahu’s proposed law include a change in the “Law of Return,” to cover only those individuals who are really Jewish? Even Ashkenazy Chief Rabbi David Lau has suggested that chages in the “Law of Return” be made. Will non-Jews, even those with one Jewish grandparent, real or theoretical, with or without proof, now be prevented from immigrating to Israel? This is what the Torah allows, with the addition of gerei toshav, non-Jewish resident aliens who have accepted the Seven Noahide Laws. “I brought the principles of the law in which I believe, the principles that appear in the Independence Scroll,” Netanyahu stated. From the Independence Scroll, NOT the Torah Scroll. This final statement of the Israeli Prime Minister pretty much sums it up. God, Please Help Us Remove this Threat to Jewish Children! Anyone with access to good Jews in Har Nof, the Jerusalem neighborhood which was hit with terrorist attack last week at one of its synagogues, please make them aware of Christian efforts to capitalize on our grief and suffering, and use it as a means to ingratiate themselves with Jews for the purpose of bringing glory to their false religion. ...The International Christian Embassy Jerusalem is determined to be a source of comfort and healing for the families traumatized by this senseless terror. In this regard, a unique opportunity has opened to the Christian Embassy to directly assist the ultra-Orthodox families hardest hit by the deadly assault in the Har Nof synagogue. This very weekend, the ICEJ is sponsoring a ‘Shabbat retreat’ for the 24 children who lost their fathers in that attack. They will stay in guest houses in the Galilee and receive special counselling from experts trained to deal with terror victims. They will also be offered therapeutic activities as well as Bible lessons before re-joining their families early next week. There are many more children whose fathers remain hospitalized due to severe wounds inflicted during the synagogue attack, and the door is also open for us to help them as well in coming weeks. In addition, through our long-time connections to the Druze community, we will be reaching out to help the families of the two Druze police officers recently killed while defending their fellow Israeli citizens. So this is your chance to help us bring comfort and healing to those who mourn in Zion. The needs of these families are many and their future is uncertain. Yet the news that Christians are helping them is already spreading, giving a powerful and timely testimony that Christians truly care. Please consider supporting supporting this important initiative by making a donation to our Israel in Crisis fund. We will be meeting with the families in the upcoming days and want to extend our supporters worldwide the opportunity to send messages of condolence that we will personally deliver. This is a chance for you to let Israelis know we love and support them. Yet another terrorist attack was carried out this morning. But, the real differences between this attack and any other will be how it will be played out by the Israeli Government controlled mainstream news media and how it will be responded to. Two terrorists infiltrate synagogue in Har Nof neighborhood of capital, attacks worshipers with axes, guns, knives; eight people wounded; two terrorists killed. Four people were killed Tuesday morning in a terror attack on a synagogue and yeshiva in the Har Nof neighborhood in Jerusalem. Eight others were wounded, four are in moderate to serious condition. As far as is known, two terrorists wielding axes, knives and guns arrived at the site on Har Shimon Agassi Street in the capital, which includes a synagogue and yeshiva (rabbinical seminary), and carried out two attacks in two locations. The terrorists were killed, following a gunfight with police officers who arrived at the scene. According to an initial investigation the terrorists came from East Jerusalem. 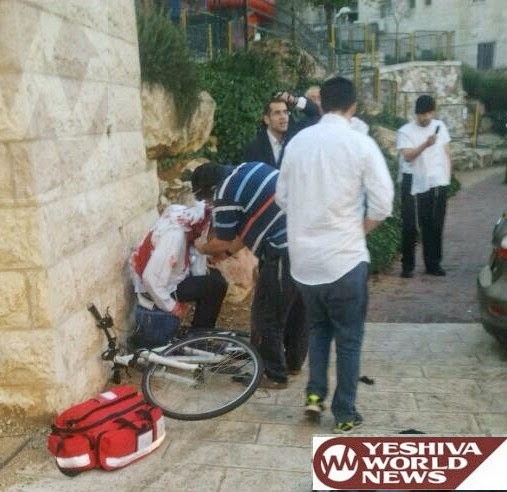 The wounded were taken to Shaare Zedek Medical Center and Hadassah Ein Kerem. The attack comes after weeks of tensions and clashes in the capital, including a series of terror attacks in which six people were killed. In March 2008, a Palestinian terrorist infiltrated the Mercaz Harav rabbinical seminary in the Old City of Jerusalem and opened fire on a crowded study hall, killing eight people and wounding six others. How do "Palestinian" Arabs manage to make into Jerusalem as far west as Har Nof? Har Nof is about as far west in Jerusalem as you can get, and only two small neighborhoods away from the 2008 terrorist attack on another yeshiva, Merkaz HaRav. 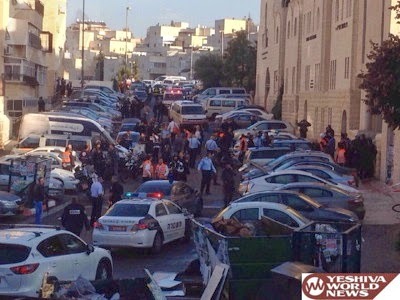 That attack was carried out by an Arab employee of a company making a delivery to the yeshivah. Who were this mornings Arab terrorists of the day? Were they employees of Jews as well? When will we learn? When will the government learn? Left-wing news sources are desperately trying to differentiate between Arabs with Israeli citizenship and those without, calling the latter "Palestinians." But, six years ago, the murdered of eight yeshivah students who was from "East" Jerusalem, was referred to as an "Arab." Now, he is referred to as a "Palestinian." The news media appears to have given up on East Jerusalem as remain a part of the State controlled portions of Eretz Yisra'el (Land of Israel). Has the Israeli Government given up on it as well? Are the news media giving out hints to this? Are they attempting to prepare the Israeli public for the inevitable? “Jerusalem bows its head in pain and sorrow on this difficult morning. Jerusalem residents peacefully praying in a synagogue in the heart of Jerusalem were cruelly slaughtered in cold blood while wearing their taleisim. “I promise Jerusalem residents that we will continue to fight terror with full force and we will do everything in our power to restore peace and security to Jerusalem. “I call on Israel’s national government and security forces to provide Jerusalem with all of the support necessary to fight terror. “I call on the international community to strongly condemn this horrific act. Hasn't the Israeli Government already been doing everything in its power to prevent such attacks? Has it been pulling from its resources, dedicated to harassing Jews, and repositioning them to reinforce those designated to protect us from Arab terrorist attacks? Is the Israeli Government that inept that we have had this many terrorist attacks in recent weeks in Jerusalem alone? Or are these attacks being allowed to occur in order to gain sympathy from the "international community?" Any of the possible case scenarios (red) I suggest here would be disturbing. The only question is precisely how the Israeli Government is not being in the least bit helpful. This morning's terrorist attack was not just another terrorist attack in Jerusalem. However, it was just another excuse to be used by the Israeli Government to set up a memorial, to beg for sympathy, (which we will never recieve), to withdraw from Land, and throw more money at the Arabs, "Palestinian" or not. How long will we, the Jewish People, allow this to continue? One of the 2 terrorists worked in a makolet next to the synagogue. This is what we get for hiring the vermin. So, unfortunately, one of my theories was correct. When will we learn? 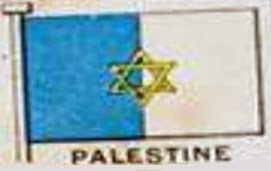 Factual Israel: 1939 Palestinian Flag. What does it look like? Surprised? This a Larousse French dictionary from 1939. 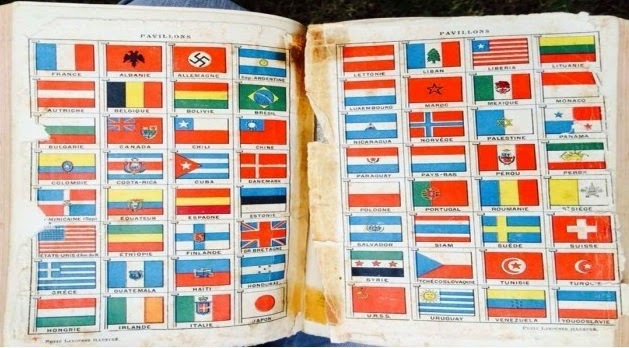 In the appendix it lists all the then current flags of the world in alphabetical order. You’ll notice that for Germany at that time the flag was the Nazi one replete with Zwastika which proves that this was pre-1945 ( before 1945)! Now, alphabetically, look for the Palestinian Flag. YES , there is one. What does it look like? Surprised? Oh, but you thought (Mandate Jewish) Palestine was an Islamic Arab-,Turkish-, Circassian Sovereign State that the bad Jews took over, right? From 1920-1948 a ( class ‘A’ Mandate) State of Palestine existed as per international law but it was, as all of its major institutions, Jewish. Until the 1960s, name “Palestine” resonated as something Jewish to European ears; the Muslims rejecting the name saying it didn’t belong. The 4,000 year old Jewish homeland or “Land of Israel” or the “Holy Land” were all synonymous!! The British as legal Mandatory over the Mandate managed or mismanaged the state partially with Jewish Auxilary until Jews regained official sovereignty in 1948, by declaring independence. The U.N. did not recreate Israel as some people claim. This simply more evidence of Arab lies, with the ultimate objective of annihilating the Jewish People. I have nothing to add, save for my usual insistance that we Jews must stop concerning ourselves with what non-Jews think, feel, or believe. Only The Amighty's Will is relevant, as we learn in His Holy Torah. Arutz 7: EJC Demands Security after Jew Stabbed in Antwerp'Jews in Europe have lost a normal sense of security that worsens with every attack on Jews and Jewish institutions,' says Jewish Congress. The European Jewish Congress (EJC) has called on authorities across Europe to provide Jewish communities with a sense of security after the latest attack Saturday has left a Jewish man, reportedly a rabbi, with multiple stab wounds in Antwerp. A Jewish man is in serious condition after he was stabbed Saturday while walking to his synagogue in Antwerp, Belgium. The motive behind the attack is still unknown and the suspect has been arrested by Belgian police. According to some reports, the man is a hassidic Jew, and he was identified as a rabbi by some sources. European Jewish Congress [EJC] President Moshe Kantor simply does not get it. How many more people believing that these types of attacks are legitmate will it take for him TO get it?? "It is the responsibility of the authorities, political, judicial and law enforcement, to ensure that Jews feel free to walk the streets in the open and live their lives absent of the fear these attacks generate." Translation: Non-Jews, please like us! Non-Jews, please save us! "They" are NOT going to help you. And YOU are not doing your fellow Jews in Europe an favors, quite the opposite, in fact. You are putting them in serious danger by confusing the heck out of them. I believe that you are putting a stumbling block in front of them. The only solution is for the Jews in Europe, including yourself, is to get out, while you still can. Moshe Kantor, himself, says, “There is a war against the Jews on the internet and on the streets." This is a war, which you cannot win in Europe, because you are no longer supposed there. Stop investing your time and energy in the lands of your exile. Your only true homeland is Eretz Yisra'el. Now stop ranting about how Jews be protected by non-Jewish leaders, take some real responsibility for yourselves, pack your bags, and get on the plane already! The only talking you should be doing is that of encouraging your fellow Jews in Europe to leave, and to come home. You should also be using every ounce of influence you have in order to do so, and to help get a mass emigration from Europe financed, or at least subsidized as much as possible. I honestly do not know just how many more signs and writing on the wall you are going to get, before it is too late, and you are lost. Sure, perhaps, you will manage to sneak your family out, when you finally DO get it. But, about the rest of the Jews in Europe? This week, we commemorated the 24th Anniversary of the murder Rabbi Meir David Kahane (ben Yehezqel HaKohen) hy"d.
Contributing to a discussion on Facebook regarding Har HaBayith (Temple Mount), and whether to ascend it or not, vis-à-vis recent Arab terrorist attacks and fantastical claims, I wrote the reply below. I could not help, but be sarcastic, when invoking Rabbi Kahane's name, as most people who demonize him are either completely oblivious to Torah, or to its relevance to our lives in contemporary times. Others, believing themselves to be Torah-observant or Torah-oriented, have simply never read any of his works, yet seem to think themselves qualified to criticize him anyway. Who cares what "they" (non-Jews) think? There is only one truth. Rabbi Kahane hy"d (OOOOH! There's that scary name again!) once said [jokingly?] that we should not bother knocking down the Mosques on Har HaBayith, because the Israeli government would just build them bigger and better ones. Then one participant in this discussion asked, "Don't we have to be pragmatic?" What we need is emunah (faith). It is fine to say that such and such is not a good strategy for the time being. However, to mince words, and worry about censoring the truth for the sake of the goyim is unacceptable. Rav Kahane hy"d (There's that name again!) said "Say the truth and do the truth, which is Torah, and everything which comes out of that is min HaShamayim." (From Heaven/God's Will) He also said [paraphrase] that one who speaks only 90% of the truth is actually hiding 10% of the truth. We need to continue discussing the truth, and not being afraid to say the truth. "Eretz Yisrael was given to Am Yisrael. The Temple Mount will be the home of the Third Temple." See? That wasn't hard, was it? No "hasatah" either. If that's considered incitement, then we're in big trouble, and need many mosrei nefesh (self-sacrificers). If lives are lost because of words, in other words, stating the truth, then the problem is not the words; the problem is how the Israeli government isn't as Jewish of a government as everyone wants to believe. Being whiny, nebachy Jews does not work, when dealing with Yishma'elim (Arabs/Muslims). It will only get us killed. This strategy was only marginally successful in Western exile, and then, only some of the time. We are no longer in exile. Or rather, we no longer have to be in exile, but many of us still choose to be, either physically, or spiritually, or both. *Hasatah/הסתה - Heb. : incitement. Various forms of incitement are illegal in the State of Israel, such as the incitement to racism and the incitement to violence. Personally, I believe that these laws are excuses to curb free speech in the deMOCKratic State of Israel. Incitement to commit avodah zarah (foreign/forbidden worship), incitement to profane Shabbath, incitement to defame the Torah appear to be well within the "rights" of citizens of the State of Israel. Does Rabbi Kahane Need Defending? Does the Government of Israel have the Authority of a King?